Photo colour negatives are in danger from colour shifting and scratching that can occur over time. Negative scanning with Copysmith will preserve them forever. The life of film negatives and slides depends on the care in storing and handling. The two great enemies are temperature and humidity. Great variations in both will aid significant loss in colour and quality for both slides and negatives. Degrading of colour, contrast and dynamic range is happening as you examine your slides and negatives, faster with some films than others. The dye used in the multiple layers of emulsion does fade over time as it was never intended for archival purposes. As the dye fades, so fades the colour and detail. Scanning your negatives and slides to disc will preserve your memories for ever. Each piece of film is scanned individually, by hand. 1800 or 4600 dpi resolution. The life of film negatives and slides depends on the care in storing and handling. The two great enemies are temperature and humidity. Great variation in both will aid significant loss in colour and quality for both slides and negatives. Each slide is scanned individually, by hand at 1800dpi and in groups of 4 at 4600dpi. Scanned at 300dpi by our automated systems, your photo prints are written to CD or DVD as .jpg files. 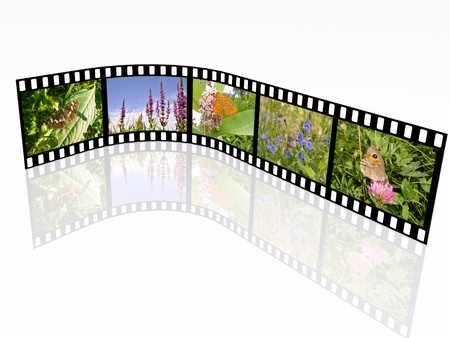 These can be viewed on any computer or domestic DVD player. All photos must be loose and not in an Album, 2 x 2.5 inches to 12 x 18 inches, and must be unmounted, not torn or bent, free from Post-It Notes, tape and adhesives. 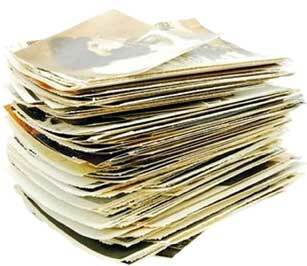 Photos that have been stored in albums will not scan due to adhesive residue. Thicker prints such as Poloroid and Kodak Instant Prints will may not feed through our scanning systems. Please present photos in the orientation you wish them to be scanned. Copysmith of Swords, North County Dublin, Ireland, provides scanning services for photographs to archive for the counties of Offaly, Roscommon, Sligo, Tipperary, Waterford, Westmeath, Wexford, Wicklow, Carlow, Cavan, Clare, Cork, Donegal, Dublin, Galway, Kerry, Kildare, Kilkenny, Leitrim, Limerick, Longford, Louth, Laois, Mayo, Meath and Monaghan, to CD, DVD, USB, Blu-Ray, Hard Drive. Copysmith of Swords, North County Dublin, Ireland, provides scanning services for pictures to archive for the counties of Offaly, Roscommon, Sligo, Tipperary, Waterford, Westmeath, Wexford, Wicklow, Carlow, Cavan, Clare, Cork, Donegal, Dublin, Galway, Kerry, Kildare, Kilkenny, Leitrim, Limerick, Longford, Louth, Laois, Mayo, Meath and Monaghan, to CD, DVD, USB, Blu-Ray, Hard Drive. Copysmith of Swords, North County Dublin, Ireland, provides scanning services for images to archive for the counties of Offaly, Roscommon, Sligo, Tipperary, Waterford, Westmeath, Wexford, Wicklow, Carlow, Cavan, Clare, Cork, Donegal, Dublin, Galway, Kerry, Kildare, Kilkenny, Leitrim, Limerick, Longford, Louth, Laois, Mayo, Meath and Monaghan, to CD, DVD, USB, Blu-Ray, Hard Drive. Copysmith of Swords, North County Dublin, Ireland, provides scanning services for negative film, 35mm slides to archive for the counties of Offaly, Roscommon, Sligo, Tipperary, Waterford, Westmeath, Wexford, Wicklow, Carlow, Cavan, Clare, Cork, Donegal, Dublin, Galway, Kerry, Kildare, Kilkenny, Leitrim, Limerick, Longford, Louth, Laois, Mayo, Meath and Monaghan, to CD, DVD, USB, Blu-Ray, Hard Drive. Copysmith of Swords, North County Dublin, Ireland, provides scanning services for 35mm slides, to archive for the counties of Offaly, Roscommon, Sligo, Tipperary, Waterford, Westmeath, Wexford, Wicklow, Carlow, Cavan, Clare, Cork, Donegal, Dublin, Galway, Kerry, Kildare, Kilkenny, Leitrim, Limerick, Longford, Louth, Laois, Mayo, Meath and Monaghan, to CD, DVD, USB, Blu-Ray, Hard Drive. Copysmith of Swords, North County Dublin, Ireland, provides scanning services for cameras, to archive for the counties of Offaly, Roscommon, Sligo, Tipperary, Waterford, Westmeath, Wexford, Wicklow, Carlow, Cavan, Clare, Cork, Donegal, Dublin, Galway, Kerry, Kildare, Kilkenny, Leitrim, Limerick, Longford, Louth, Laois, Mayo, Meath and Monaghan, to CD, DVD, USB, Blu-Ray, Hard Drive. Copysmith of Swords, North County Dublin, Ireland, provides photo to poster services for the counties of Monaghan, Offaly, Roscommon, Sligo, Tipperary, Waterford, Westmeath, Wexford, Wicklow, Carlow, Cavan, Clare, Cork, Donegal, Dublin, Galway, Kerry, Kildare, Kilkenny, Leitrim, Limerick, Longford, Louth, Laois, Mayo and Meath. Negative film scanning Monaghan. Negative film scanning Cavan. Negative film scanning Louth. Negative film scanning Leitrim. Negative film scanning Limerick. Negative film scanning Longford. 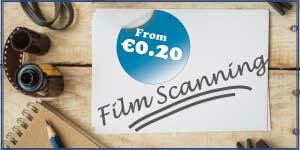 Negative film scanning Laois. Negative film scanning Meath. Negative film scanning Westmeath. Negative film scanning Dublin. Negative film scanning Carlow. Negative film scanning Kildare. Negative film scanning Wicklow. Negative film scanning Wexford. Negative film scanning Waterford. Negative film scanning Cork.Negative film scanning Kerry. Negative film scanning Clare. Negative film scanning Galway. Negative film scanning Sligo. Negative film scanning Mayo. Negative film scanning Donegal. Negative film scanning Roscommon. Negative film scanning Tipperary. Negative film scanning Offaly. Negative film scanning Kilkenny. 35mm slide scanning Monaghan. 35mm slide scanning Cavan. 35mm slide scanning 35mm slide 35mm slide Louth. 35mm slide scanning Leitrim. 35mm slide scanning Limerick. 35mm slide scanning Longford. 35mm slide scanning Laois. 35mm slide scanning Meath. 35mm slide scanning Westmeath. 35mm slide scanning Dublin. 35mm slide scanning Carlow. 35mm slide scanning Kildare. 35mm slide scanning Wicklow. 35mm slide scanning Wexford. 35mm slide scanning Waterford. 35mm slide scanning Cork.35mm slide scanning Kerry. 35mm slide scanning Clare. 35mm slide scanning Galway. 35mm slide scanning Sligo. 35mm slide scanning Mayo. 35mm slide scanning Donegal. 35mm slide scanning Roscommon. 35mm slide scanning Tipperary. 35mm slide scanning Offaly. 35mm slide scanning Kilkenny. Photograph scanning Monaghan. Photograph scanning Cavan. Photograph scanning Photograph Louth. Photograph scanning Leitrim. Photograph scanning Limerick. Photograph scanning Longford. Photograph scanning Laois. Photograph scanning Meath. Photograph scanning Westmeath. Photograph scanning Dublin. Photograph scanning Carlow. Photograph scanning Kildare. Photograph scanning Wicklow. Photograph scanning Wexford. Photograph scanning Waterford. Photograph scanning Cork, Photograph scanning Kerry, Photograph scanning Clare. Photograph scanning Galway. Photograph scanning Sligo. Photograph scanning Mayo. Photograph scanning Donegal. Photograph scanning Roscommon. Photograph scanning Tipperary. Photograph scanning Offaly. Photograph scanning Kilkenny. Photograph to canvas printing Monaghan. Photograph to canvas printing Cavan. Photograph to canvas printing Photograph Louth. Photograph to canvas printing Leitrim. Photograph to canvas printing Limerick. Photograph to canvas printing Longford. Photograph to canvas printing Laois. Photograph to canvas printing Meath. Photograph to canvas printing Westmeath. Photograph to canvas printing Dublin. Photograph to canvas printing Carlow. Photograph to canvas printing Kildare. Photograph to canvas printing Wicklow. Photograph to canvas printing Wexford. Photograph to canvas printing Waterford. Photograph to canvas printing Cork, Photograph to canvas printing Kerry, Photograph to canvas printing Clare. Photograph to canvas printing Galway. Photograph to canvas printing Sligo. Photograph to canvas printing Mayo. Photograph to canvas printing Donegal. Photograph to canvas printing Roscommon. Photograph to canvas printing Tipperary. Photograph to canvas printing Offaly. Photograph to canvas printing Kilkenny.